Almost everyone understands the need of scheduled maintenance, like an oil change, most people do it regularly, when it comes to preventive maintenance they don’t realize that those $250 today to replace a component like a worn front wheel bearing, could become hundreds of dollars tomorrow when the wheel falls off the axle and break more components of the front end system (hopefully not at high speed). 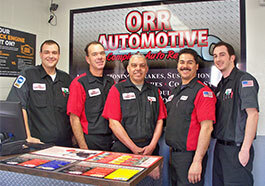 When to replace: Every 3 years or 36,000 miles for engine belts and 60,000 to 90,000 miles for the timing belt. When to replace: Inspect level with every engine-oil change, top off as needed. The average car in America is 9 years old you must rely on proper maintenance to keep your vehicle running at peak operating conditions. The longer you take to check that squeaky noise when you push your brakes or the vibration that goes away when you accelerate, the more costly your bill will become for neglecting your vehicle, no; it won’t be the Car repair shop fault. You know your car and you need to listen when it speaks to you.